Tackle giant Guru has revealed it is to sponsor the England Under 15s World Championships Team for this year’s event in Spain. 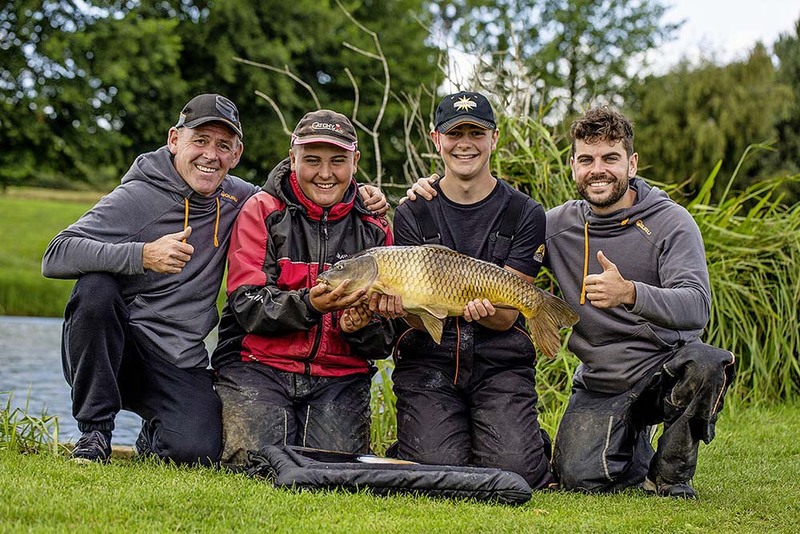 This is the first time the Under 15s has received full sponsorship, and Tackle Guru brand manager Adam Rooney was delighted to secure the deal with angling’s governing body The Angling Trust. “Guru is keen to work with the Trust to help and inspire young anglers by giving them something to build up to and set them on positive tracks for their future in our sport,” he said. “Finding funding for the very youngest Under 15s international team has always been hard, and we’re keen to make it more professional. Tackle Guru’s Matt Godfrey, a former World Youth Champion himself, will be coaching the Under 15s for this year’s match in August. “I’ve been involved with the set-up since 2005, and it will be nice to give something back,” he said. “Helping young anglers is such a positive thing to do, and our sponsorship follows on nicely from the successful Guru Match Academy which we also support. “This event has grown in popularity every year since it started in 2016, going from 20 applicants to around 60 last year. The media team from Tackle Guru will be following the Under 15s in Spain, providing regular updates and live feeds on Facebook. Managing the team again is Joe Roberts, who has been involved with youth matchfishing in England for over a decade, and he was keen to show his appreciation to Tackle Guru for its support. “I started the talent pathway around 10 years ago. It’s always been a struggle with this youngest team, but it’s an essential part of international matchfishing’s future and to have full support from Guru is amazing,” he said. The international team will be selected from the Talent Pathway Final which takes place at Barston Lake on April 20.